New Delhi: Department of Biotechnology (DBT), Ministry of Science & Technology, announced the expansion of its first joint International laboratory with National Institute of Advanced Industrial Science & Technology (AIST) Japan named as DBT-AIST International Laboratory for Advanced Biomedicine (DAILAB) to DAICENTER by signing a contract on September 13, 2017 in Delhi. DIACENTRE expands the scope of the collaboration to focused research activities with several institutions in India and other Asian countries like Sri-Lanka, Indonesia, Thailand at a Mission mode. It will also provide a platform for translation of research of leads emerging from the bi-lateral co-operations in collaboration with the Industry and opportunity for training of young scientists. It will involve continued research, training and innovative networking programs enrolling [email protected] and its Six SISTERs (Satellite International Institutes for Special Training Education and Research). DAICENTER will focus to connect academia to industry and network innovation to entrepreneurship promoting S&T relationship of the two countries. Signing the contract to extend the collaborations, Prof. K. VijayRaghavan, Secretary, DBT commented that India and Japan have lots to share in Science on complementary basis and merge experience to education for the next generations and bring their research outcomes to needs of society worldwide. He added that while Japan stands out with the expertise of its scientists in areas like stem cell research, India can offer its young science brains that can be trained to use this expertise to bring about solutions for diseases. “The collaboration so far has created long lasting networks helped accelerate drug discovery, identified anti-cancer properties of traditional plants like Aswagandha, brought out high quality joint research publications. We will look forward to more research leads and translations,” said Dr Ryoji Chubachi, President, AIST. Setting up a DBT lab in the University of Kyoto and an AIST lab in IIT Delhi & another in the Regional Centre for Biotechnology has given a truly international character to the collaboration. While DBT has spent for the infrastructure for the AIST lab at IIT and RCB, University of Kyoto maintains it. On the other hand the infrastructure of the DBT lab in AIST Tsukuba was established by Japan and maintained by DBT. The DBT-AIST collaboration which started in 2007 has seen a gradual strengthening of ties and has produced high quality research leads over the years. The Department of Biotechnology(DBT) , Ministry of Science and Technology, Govt. of India has concluded a comprehensive Memorandum of Understanding (MoU) with the National Institute of Advanced Industrial Science & Technology (AIST), Japan on February 12, 2007 under the Joint Statement towards India-Japan Strategic and Global Partnership, signed by the Prime Ministers of India and Japan in December 2006. The MoU enrolled five years of successful bilateral research collaborating in the field of Bioinformatics and Biomedicine and joint workshops all both ends. Eight themes of projects focusing mainly on drugs /therapeutics for diseases like cancer have been supported. MoU was renewed for second term (2012-2017) along with an establishment of a joint laboratory DAILAB (DBT-AIST International Laboratory for Advance Biomedicine) at Biomedical Research Institute (BMRI), Tsukuba campus of AIST, Japan on Oct 3, 2013. DAILB is the first International laboratory in Life Sciences & Biotechnology of the two institutions. The recurring budget for DAILAB is supported by DBT, while the non-recurring budget is supported by AIST president’s special budget. Goals of DAILAB are to (i) conduct joint basic to applied research on disease prevention and therapeutics for increasing the quality of life (with focus on old age), (ii) offer research training to young International studies, (iii) networking among researchers for fundamental and cutting edge research, and (iv) endeavour global frontage of both the institutions. Signing and Opening Ceremony of [email protected] by AIST President, Dr. R. Chubachi and DBT Secretary, Prof. K. VijayRaghavan was held on Oct 3, 2013 at AIST, Tsukuba in the presence of dignitaries including the DBT delegates. The occasion was also graced by the presence of Her Excellency Ms. Deepa Gopalan Wadhwa, Ambassador of India to Japan. Establishment of DAILAB has made significant progress not only in research projects (evident by their publications), but also been carrying out training and education of young scholars from India. In order to accelerate research education, training and productivity, 6 SISTER (Satellite Institute for Special Training in Education and Research)-DAILABs have been set up. These include Regional Center for Biotechnology (RCB), Faridabad, IIT-Delhi (Dec. 10, 2015), University of Sri Jaywardenepura (Sri Lanka) (April 19, 2016), Manipal University (Aug., 4, 2016), Sikkim University (Oct. 26, 2016) and IIT Guwahati (May 8, 2017). These labs are actively collaborating and aim to become an OPEN INNOVATION HUB in Asia in the field of Biomedicine. DAILAB has been a successful model for India-Japan S&T partnership. 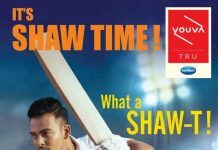 Six different types of training programs (STAR, CAFÉ, CAFÉ-PLUS, PIKNKIH, JUKU and DOSTI) have been conducted regularly in association with DAILABs and other institutions and have engaged and inspired large number of Indian students. In last three years, DAILAB has become a role model of India-Japan S&T co-operation and has helped thousands of students in several ways. DBT in cooperation with AIST is scheduled to expand DAILAB to DAICENTER from September/October 2017. DAICENTER involves (i) new research projects on Translational and Environmental Research including Big Data in Biomedicine, (ii) new programs for educating and inspiring youth for science careers and (iii) new connectivity/bridge between universities-research institutes-industries at both ends to inspire innovation, application and industrialization of research for the benefit of society. The Department of Biotechnology has implemented an Indo-Japan cooperative program on “Accelerating the application of stem cell technology in human disease” with four participating institutions from India, and the Centre for iPS Cell Research and Application (CiRA), Kyoto University, Japan as international partner. 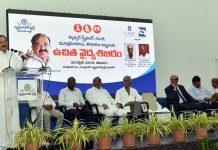 The aim of the program is to develop infrastructure and the expertise for India to be a competitive force in the field of regenerative medicine and induced pluripotent stem cell biology. The focus of the collaboration is on developing treatments for sickle cell anemia, β- thalassemia and brain disorders and creating haplobank relevant to Indian population. 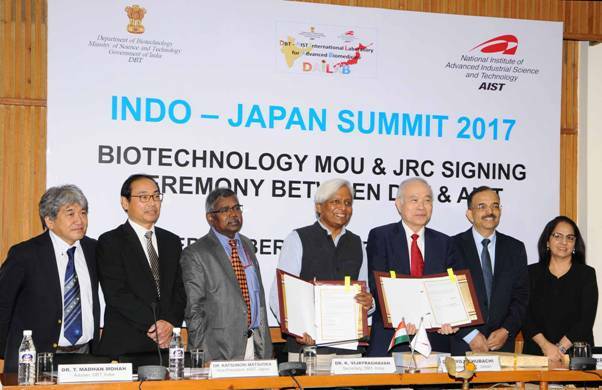 A comprehensive MoU and JRC between DBT (India) and AIST (Japan), for the next five year period, was signed by Prof. K. VijayRaghavan, Secretary, DBT (India) and Dr. Ryoji Chubachi, President, AIST (Japan) as part of India-Japan Summit 2017.